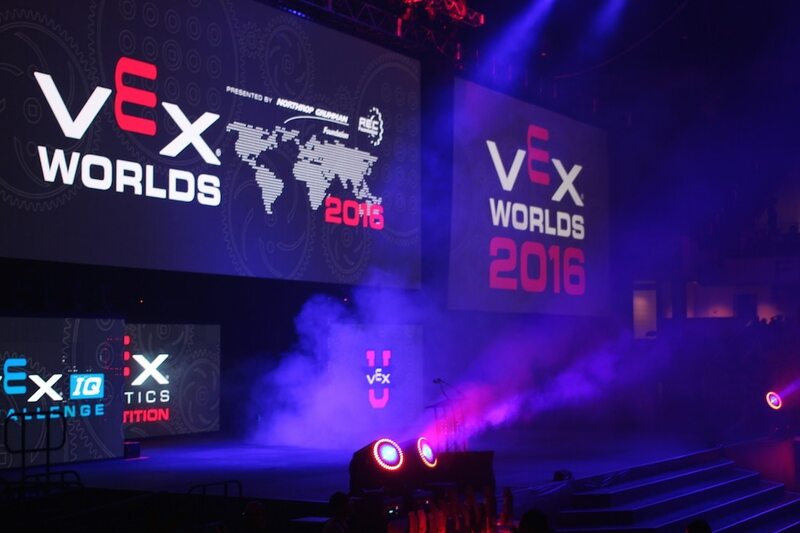 On Wednesday, July 20, look for the Traverse City robotics team RoboRunners on ESPN2 during official highlights of the 2016 VEX Robotics World Championships at 9 p.m.
RoboRunners elementary team placed 18th overall out of 175 elementary teams from around the world at the VEX World Championship, a huge accomplishment especially since this is the team’s first year together. The competition was held April 20 through April 23 in Louisville, Kentucky. Teams had to create a robot capable of shooting or dumping balls past a barrier, climbing a ramp, and completing a series of other tasks. 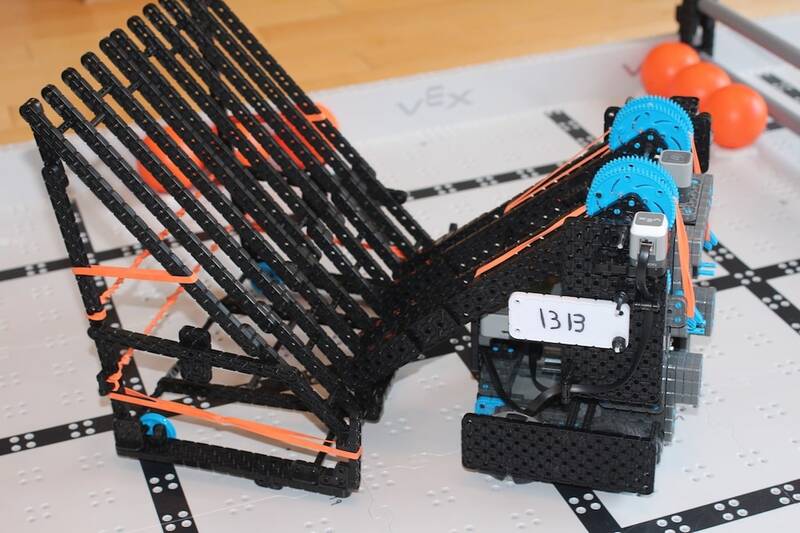 During the competition season, thousands of teams competed in the Vex Challenge. To qualify for the World Championship, teams had to win at the regional level. The students also had opportunities to meet professionals from major companies and organizations including NASA, Northrop Grumman and Nissan, as well as meet students from around the world. RoboRunners is currently forming Traverse City robotics teams for the 2016-2017 season. Teams will be made up of three to 10 students each and are open to all regional students who have the interest and commitment to compete with teams from around the state and world. There are two age categories: second through fifth grade and sixth to eighth grade. These groups compete together and against one another at local competitions, but are separated at state competitions (and beyond). For more information about the Traverse City robotics team RoboRunners, contact John Gilligan at robots@curiousworx.com, or check the news section of the team website for upcoming meetings.